08 yo female patient in portal hypertension from Hospital N0 1 suffered from hematemesis due to rupture of dilated esophageal veins. 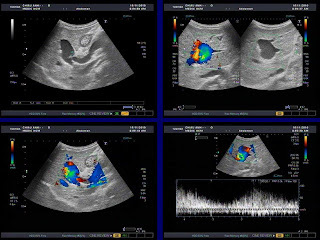 On her abnormal liver parenchyma, ultrasound noted a congenital anomaly of intrahepatic portal vein which presented as a cystic structure with an incomplete web about 5.1mm in length. B-mode ultrasound revealed smoke-like echo inside the dilated portal vein while color Doppler showed aliasing artifact. 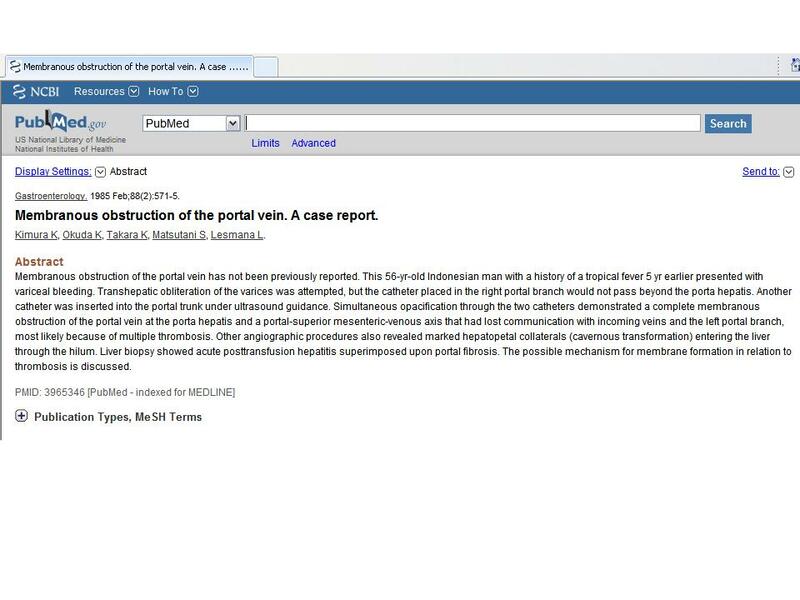 Hepatofugal flow of portal vein was noted with dilated venous collaterals at the hepatic hilus. 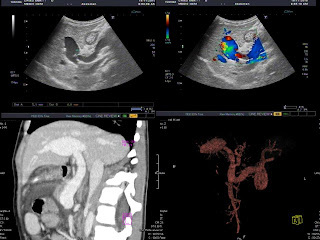 MDCT confirmed an intrahepatic cystic dilatation of portal vein and its dilated branches. 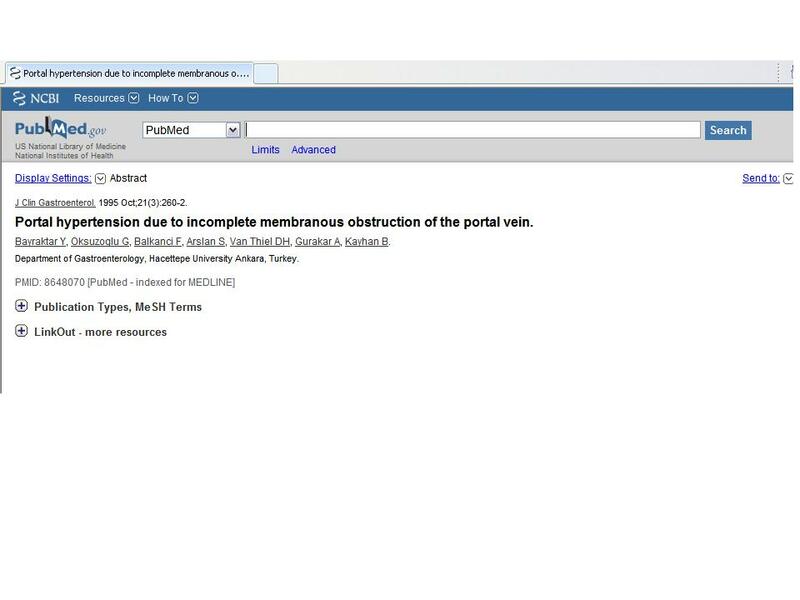 The small girl went through an intravascular procedure to destroy the portal web. 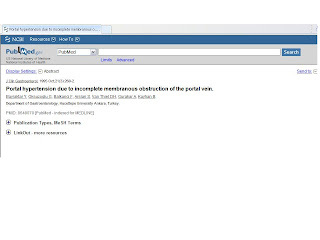 But portal hypertension came back after 3 months. At last, an open surgery had been done successfully, resolving her portal hypertension and the girl remains well. 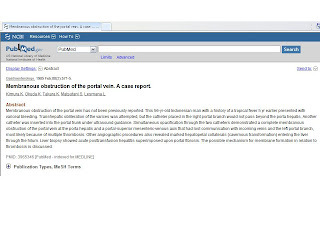 In our knowledge, this is the first case of portal membranous obstruction diagnosed by ultrasound in combining of MDCT in Vietnam, and prooved abroad by surgery; and may be the third case of the world.